The National Disaster Management Agency (NaDMA) will soon be sporting new headquarters at Morne Jaloux, St George. 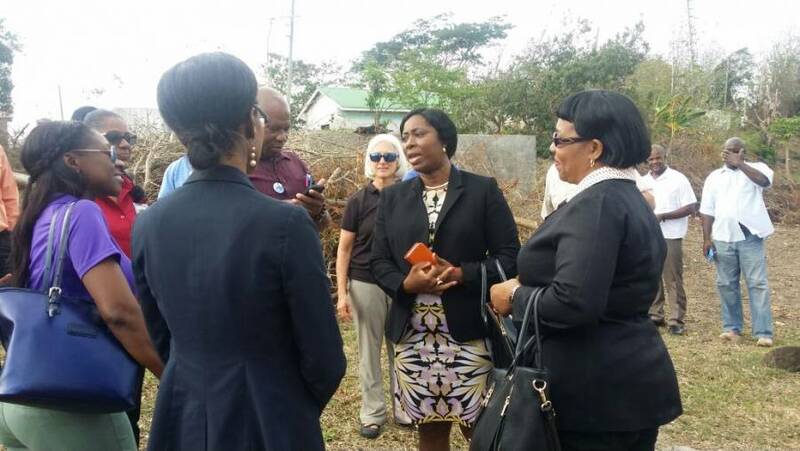 On Wednesday, a delegation comprising officials from the Prime Minister’s Ministry and the US Embassy toured the site on which the new structure will be built. NaDMA’s new headquarters will be funded by the United States Government through the US Embassy and the US Southern Command. The new NaDMA headquarters will boast improved space, upgraded equipment and a relief warehouse – all of which will contribute to increased efficiency, accessibility and mobilisation capacities. Headquarters for NaDMA Carriacou is also to be constructed.